We have combined some of our elite shorthorn cattle with Senepols, Brahmans and Belmont Reds. Our intention is to breed a small and select group of these Shorthorn+Plus Cattle up to purebred status. Because our intention is to grade up these Shorthorn+Plus cattle (to incorporate their positive attributes into our Shorthorns) we only use elite cattle (of both breeds) in our Shorthorn+Plus program. At Beef 2006 Marellan and Royalla purchased a Senepol bull with the intention on incorporating the slick skinned gene into our Shorthorns. The culmination of this program is the 7/8 Blood, Marellan Prophet (P). Prophet has the slick gene and is pictured at 21 months. Prophet sons are 15/16, meaning they are classed as purebred. They will feature at our 2017 'Bred for Bos Indicus Cows' Bull Sale. 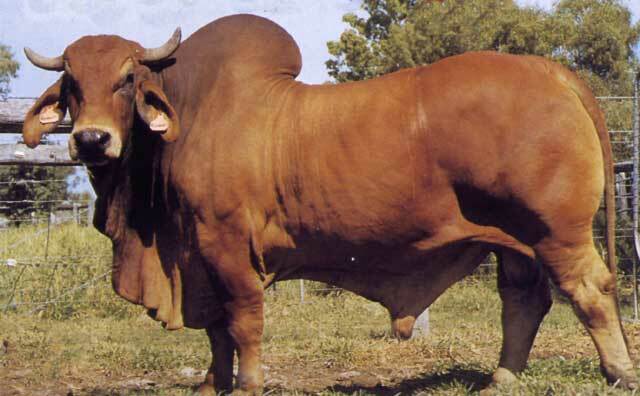 The Shorthorn and Brahman combination is Without Doubt the most influential blending the Australian Beef Industry has ever seen. Our Shorthorn+Plus Brahman cattle are bred with an uncompromising focus on fertility and meat quality. These bulls will allow Northern producers to enhance meat quality whilst retaining a cow herd that fits their environment. Belmont Reds were developed at the Belmont Research Station, near Rockhampton. 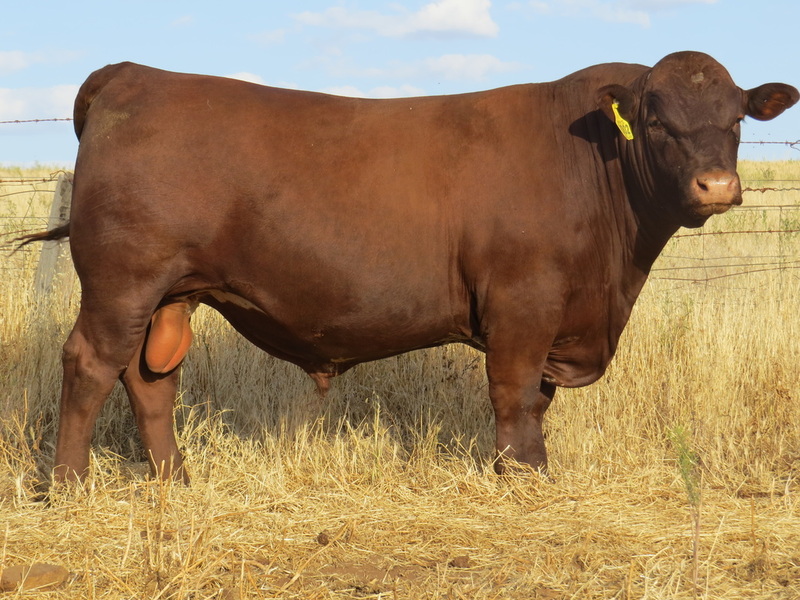 Belmont Reds have a significant Shorthorn content in their heritage. 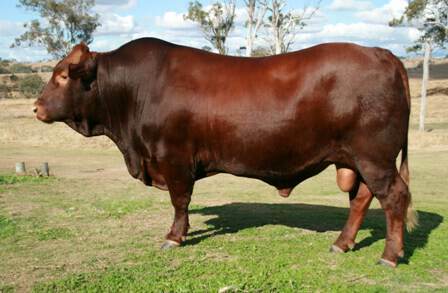 The Beef CRC validated the value of Belmont Red genetics. 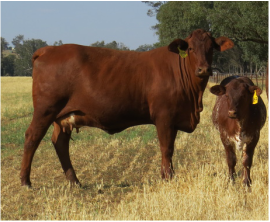 We have been very impressed with how the Belmont genetics have blended with our Shorthorns, northern relevance in a 100% Bos Taurus package.